Tigkaki is a small seaside resort on the north coast of the island of Kos , with a view of the island of Psérimos. Tigkaki since, as you can see the silhouettes of Kalymnos and the peninsula of Bodrum in Turkey. The village has only a few hundred permanent residents. The station has traditionally been the resort of the inhabitants of the mountain villages ( Asfendiou , Zia , Pyli ...), but the station has grown considerably in recent decades, with the construction of hotels and apartments along its white sand coast, but also inland farms. Tigkaki is sometimes written Tigaki, or Tingaki, and is written in Greek Τιγκάκι. 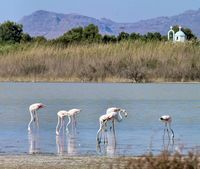 Tigkaki village is located 11 km west of Kos town , 7 km north of the city Asfendiou , a few kilometers from the resort of Marmari which it is separated by the salt lake of alikes . 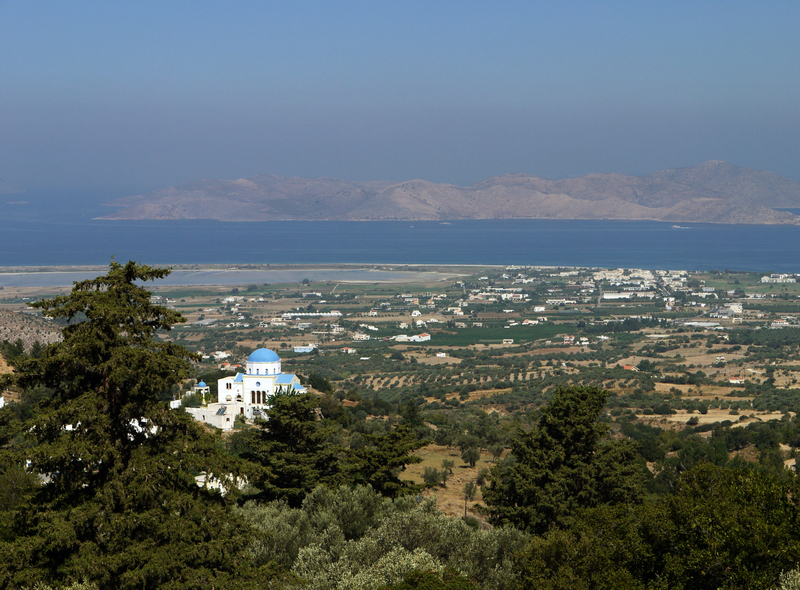 From Kos, you can go to Tigkaki the main road that crosses the island along its length, leaving on the right Zipari. However it is more pleasant to borrow from Kos, a small road from the southwest exit of Kos this small road, quiet and almost flat, winding through farmland in the middle of fields and watermelons tomatoes. 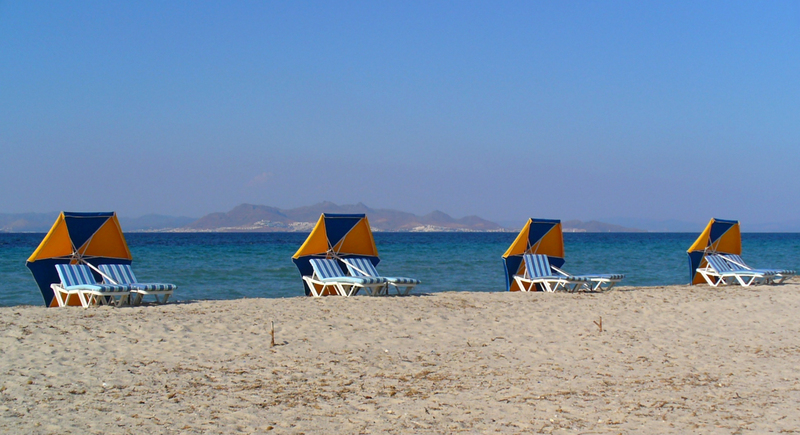 Tigkaki has one of the most beautiful beaches of the island of Kos . The waters of the beach are very shallow by an ideal beach for families with small children and for those who are not good swimmers. There is almost always a breeze along the coast, allowing the practice of windsurfing. The beach is long and narrow and quite busy, but we’re going to the southwest, the more it expands and moves away from the traffic of the road. Just before the beach Tigkaki, there is the beach Boat Beach (due to the presence of a shipwreck), which is less crowded. 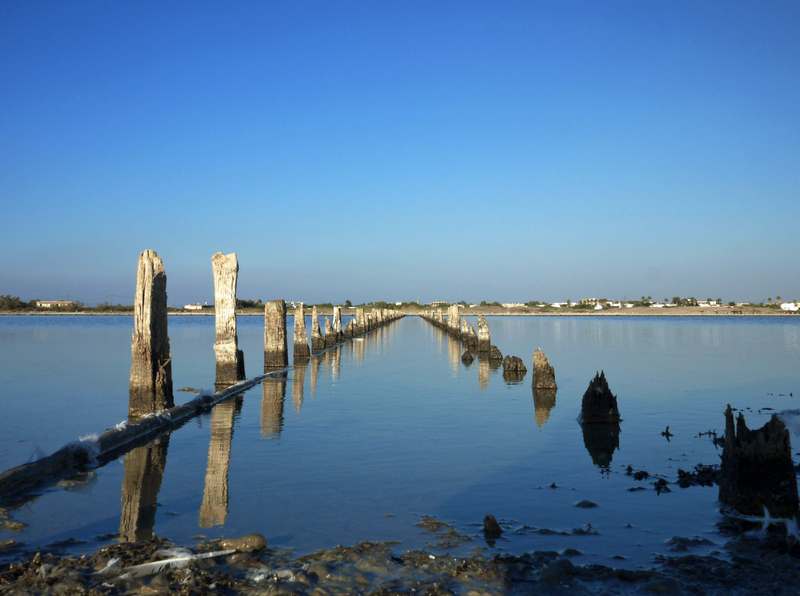 To the west of Tigkaki between Tigkaki and the resort of Marmari, is the salt lake Alyki (Αλίκη), whose marshes produced up to 1000 tons of salt per year. Today, the lake became a protected natural park where it is pleasant to stroll and discover the fauna. After a wet winter, the lake water until July. Spring, in March and April, the marsh Alykes is a popular resting place for migratory birds, especially flamingos (Phoenicopterus roseus) that can be seen in flight or feeding in shallow water Marsh. The marsh is separated from the shore by a barrier of dunes from one to two meters high at the effluent of the marsh is a nesting loggerhead sea turtles, loggerhead turtles or turtle (Caretta caretta). It is on these sandy beaches between Lambi and Tigkaki that landed troops of the Wehrmacht in 1943 to recapture the island of Kos after the capitulation of Italy . In 2012, the French tour operator FRAM Tigkaki opened in a resort hotel Framissima, Capo di Kos and a Framéco the Corali.